The Ossa sideboard is the perfect space filler. With a 1590mm wide design, it can fill up the unused space in your office. The sideboard has eight open, striking compartments – a great place to display and store items. There’s also plenty of space on top of the sideboard, which is lifted off the floor by six small metal feet. 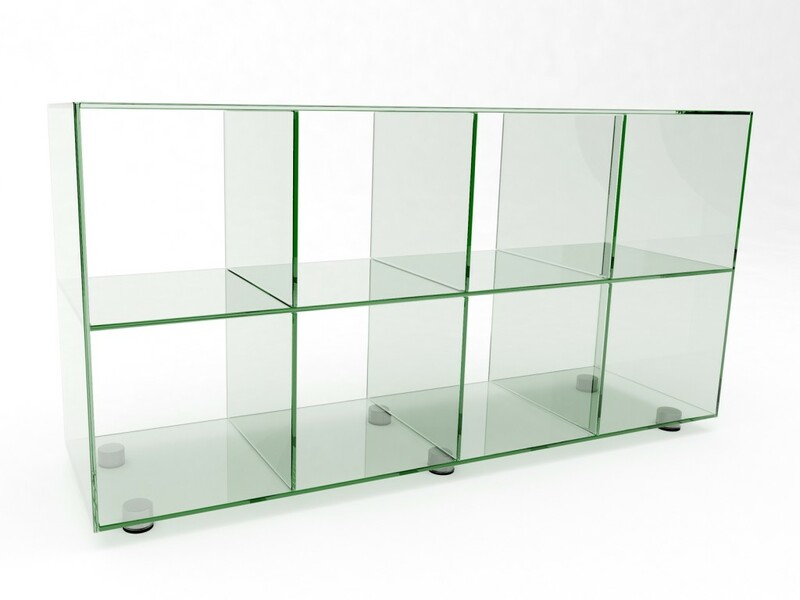 The sideboard is made with 10mm thick clear toughened glass, and is 1590mm x 440mm x 850mm. As with all of our products, if you require a bigger or smaller version of the Ossa sideboard, we’re happy to help. We have a personal bespoke design service, and can make furniture to suit your individual needs. Find out more here.